I'm very glad you could join us today for the Disney Wordless Wednesday Blog Hop, where each week bloggers gather together and link up their Disney related Wordless or Almost Wordless Wednesday posts. I hope you'll enjoy your visit, have a look around, hop on over to the sites linked up today, maybe even make new Disney friends along the way. So, come hop with me, Debs Dis at Focused on the Magic your host for The Disney Wordless Wednesday Blog. This week's theme is Resorts & Relaxation. With Mother's Day coming up this Sunday I chose a few pictures this week that reflect where and how I'd like to spend Mother's Day with my boys. You don't have to post along with the theme, but it does have to be Disney related. Questions? We have a whole page dedicated to answering all your questions: The Disney Wordless Wednesday 411 page. Please leave a comment below after you link up and tell me what you think of the theme, my picture and whatever else is on your mind this week! I love to hear from you! 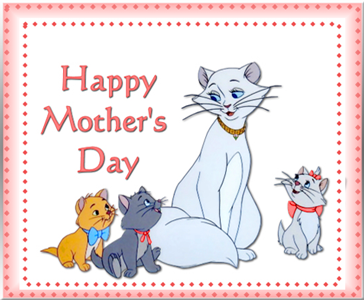 Happy Mother's Day Disney Moms ! Beautiful choice! We haven't made it here yet but that lobby looks so majestic. It reminds me a lot of the Old Faithful lodge in Yellowstone NP. Wishing you a relaxing and wonderful Mother's Day! 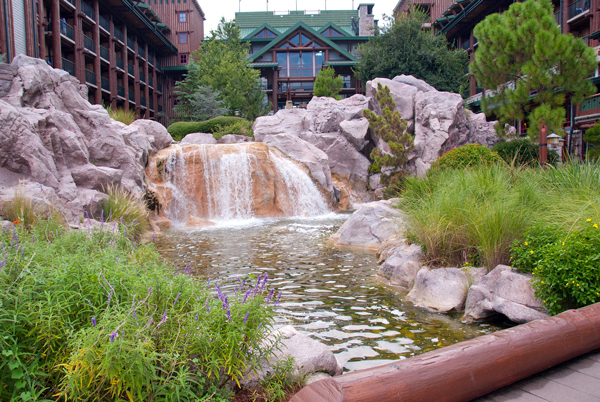 We haven't been to Wilderness Lodge but it looks wonderful - and relaxing! My favorite is Animal Kingdom Lodge, but only by a nose. Wilderness is just wonderful. I love that it feels apart from everything and so serene and cool. It's a tough choice for me too. Boardwalk Villas is our DVC home resort and still a favorite! I never went to the Wilderness Lodge before a few years ago when my husband and I went to eat at Artist Point. I absolutely love the resort and would love to go back and stay one day! love love love the pools! 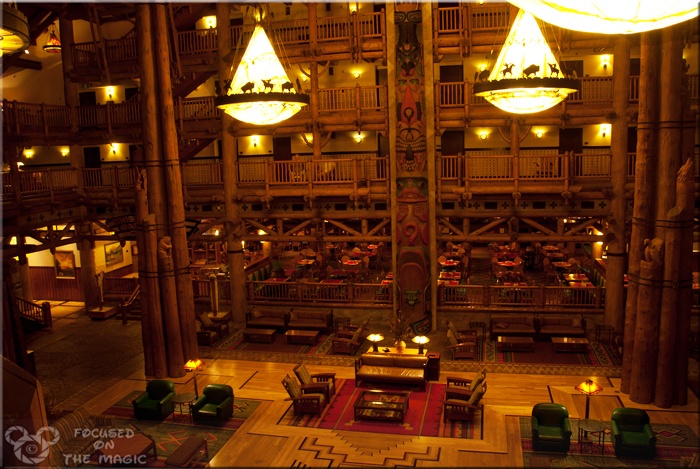 I never realized how much Wilderness Lodge looks like the Grand Californian. 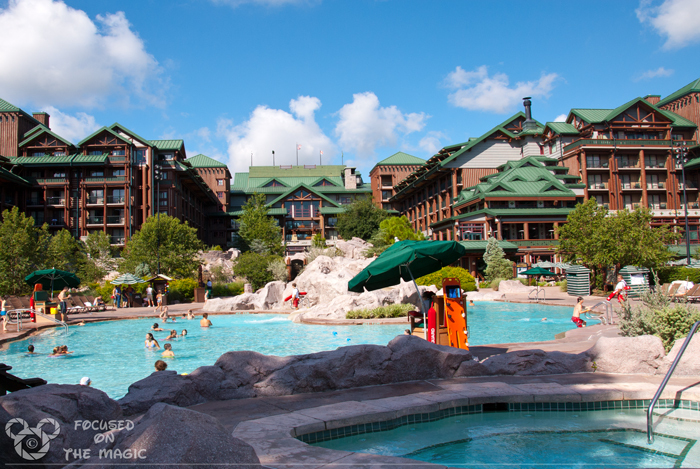 Good thing I love the Grand Californian, so I'm sure I'd love the Wilderness Lodge too. It sure looks relaxing. Yes, that's exactly what my DH said when he first saw it. So beautiful and relaxing! We stayed at WL for the first time last year. And it definitely won't be our last! Great pictures! Obviously he hadn't seen the bill yet. I have yet to step foot in this lodge and I cannot wait to check it out. Just know I'm gonna love it! Wouldn't be my choice of the Disney Deluxes, though... since we travel/stay at many similar Lodge type places on vacations elsewhere in the country. When I'm at Disney - I like Florida/tropical type atmosphere! :) Funny, huh? I love the feel of that lobby -- cozy yet awe-inspiring! We have never stayed at Wilderness Lodge, but have ventured over for dinner. It is just breathtaking! Beautiful photos! Gorgeous photos, as usual. :) We have walked through the lobby once (though we were in a hurry) and I've seen plenty of pictures and now Wilderness Lodge is probably #1 on my list of places I want to stay at. Thank you for the great pics! The Wilderness Lodge is on my list of places to stay. I fell in love with it last time we were at Disney World.